You know that to keep your skin looking healthy and young, you need to keep it away from too much sunlight and pollution. Over exposure to both causes oxidative stress, which makes your skin look older and more tired and damaged. But of course, it's impossible to protect your skin fully. That's why it's so important to find ways to fight this oxidative stress. You've probably heard about how antioxidants can help with this. And they can. But now researchers are investigating a new way to fight oxidative stress, with very promising results. According to research published in the journal Free Radical Biology and Medicine, resveratrol can help keep your skin healthy. It does this by stimulating the antioxidant defense pathways your body already knows how to produce. In this study, the researchers investigated normal human keratinocytes and reconstructed human skin to see how resveratrol would affect these defense pathways. They found that at non-toxic doses, the resveratrol did indeed have an impact. It activated components of the pathways and even helped protect the skin against the toxic oxidative effects of cumene hydroperoxide. The cells where the dermis and epidermis meet were not changed, despite exposure to the stressor. Resveratrol does contain antioxidants, which are helpful in responding to oxidative stress. But this study indicates that resveratrol may also have promise as a preventative. Resveratrol, as you may know, is popular because it helps keep your heart healthy. It's also popular because it's in red wine. But that's not necessarily the best way to get an effective dose. To get enough resveratrol to make a difference, it's best to get it in supplement form. Red wine may have some benefits, but too much alcohol can also have negative effects on your skin. If you want to keep your skin looking its best, the supplement form is the way to go. The best I've found is made by Advanced Bionutritionals. You can order it by following this link. And of course, don't just rely on resveratrol to protect you. 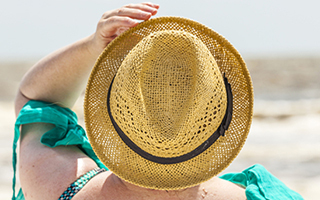 Keep your skin out of the sun and away from pollution whenever possible. Use sunscreen as a defense against oxidative stress, and let resveratrol be part of the offense to attack whatever slips through.